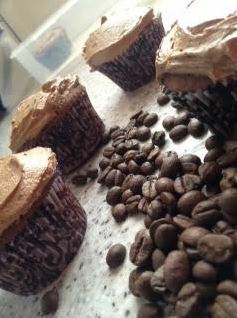 So here is my recipe for espresso intense coffee cupcakes. There is a LOT of coffee flavour in these puppies so be careful when you eat one! Now divide the mix between the cupcake cases. I used around 53g of mix per cup. Bake in the oven for 15-20minutes until cooked. My fan oven took 18 min to get a nice even bake. Now prepare the icing if you’re going to use it. Mainly I make these without frosting. 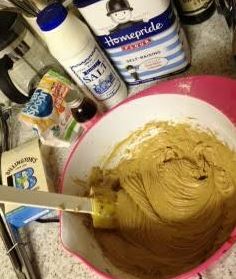 Blend the butter and icing sugar together using an electric mixer until light and fluffy. 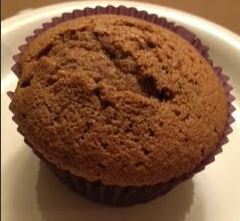 I added coffee and icing sugar interchangeably to keep the spray of fine icing sugar that always happens. 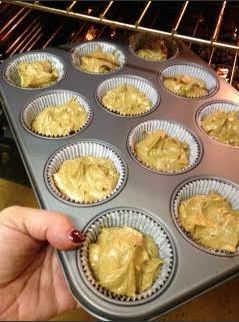 Once cooled, frost away but remember – these are going to be extremely caffeinated so take care when you eat them!